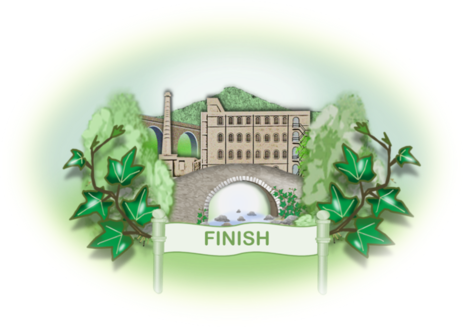 It was under the ownership of Portals (1924-1930) that a Social Club was formed at the paper mill and with it an Athletic Club, under the name of Portals (John Allen & Sons) Athletic Club, responsible for organising all sports recreation on behalf of the employees of the paper mill. Each sports section was required to have a Sub-Committee with elected secretaries, ultimately responsible to the General Committee. There were sections for football, tennis, cricket and social activities. The latter responsible for dances and Christmas Draws. Membership should be open to all employees of Portals (John Allen & Sons) Ltd and their dependents (persons wholly dependent upon employees). The subscription rates of 2d (old pence) per week for all male members over 18, and 1d per week for all male members under 18 and 1d per week for dependents. It was in 1932 that the Committee went in search of a sports field and by March had agreed to lease Fox’s Field near to the paper mill, for the annual rent of £38, but with the ability to sub-let. This was successfully achieved, as a local farmer agreed to pay the sum of £10 per year for the grazing of livestock. Permission was also granted to erect a portable hut and dressing room. On the 6th March committee members met at Fox’s Field and mutually agreed the location of individual pitches for the various sports activities. In 1937 however, the sports section suffered a set-back when Devon County Council purchased the top half of their sports field, with notice given to the Club to terminate their tenancy. Luckily they were given an option of renting the remaining portion. This was taken up by the Committee on short term leases until 1940, when Devon County Council purchased the remaining part of the field, giving Portals formal notice to leave by the 25th March. It is not clear what exactly happened during the war but a committee meeting as late as 1946 was still discussing the removal of a hut following instruction from DCC. The price of a draw ticket was 3d.,the first prize was a ton of coal, second prize a turkey and the third prize, a bottle of whisky. The draw was made at The Kings Arms in Ivybridge (The Exchange today). The first Staff Dinner and Social was held in January 1938, hosted at The London Hotel. 1937 witnessed the first Sports Day, promoted by the Athletic Club, held on 14th August. “A flaming summer’s day brought high spirits and entertainment”. Mr J.A. Talbot acted as President of the meeting and Mr. B.K. Allen, Vice-President. The General Committee for sports activities provided the sum of £12 to finance the event and afterwards it was reported that a small profit had been made. Following the sports, dancing was held on the Tennis Courts which were “brilliantly” illuminated and there were various side shows. 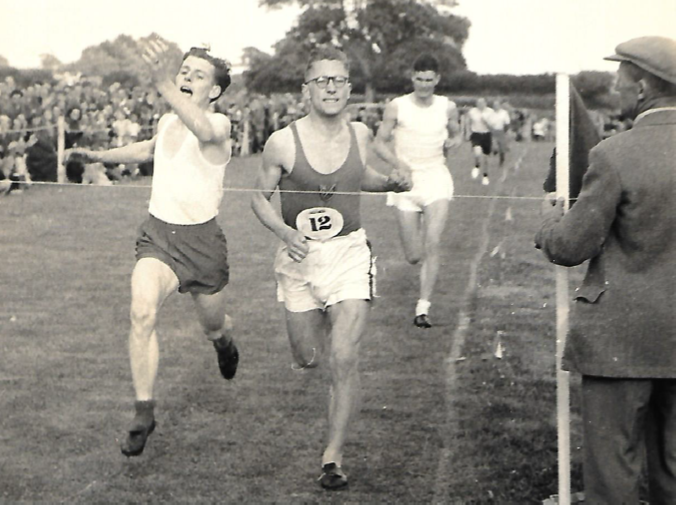 The second Annual Sports Day was held on Saturday 13th August, 1938, where a large crowd was reported to have watched a varied programme of sports held at the mill’s sports ground. The third Sports Day promoted by the Athletic Club and conducted under A.A.A. rules, was held on Saturday 12th August 1939. Following the sports, dancing was held once again on the illuminated tennis courts with side shows and competitions. During WW2 the club endeavoured to carry on as normal, although it was agreed that the Football team, Cricket team and Tennis section were open to all Ivybridge residents. However, in 1940 the General Committee took the decision to suspend Mill Sports Days for the immediate future. A Special Meeting held on 15thDecember 1940 also agreed on the donation of £50 to the Spitfire Fund. From this date until the end of the war little is known, but in the AGM held on 12th May 1946, it was documented that Mr Allen had ‘kindly offered the Club the use of the field adjacent to Filham Moor Settling Pits.’ Following inspection, it was considered in ‘too rough a condition … for any kind of sport’. It was proposed that the committee approach Mr Allen regarding ‘possible assistance in levelling off the field by means of clinker etc and that the Club would arrange to chain harrow the grounds and be responsible for the expenses incurred.’ Later the same year, Stowford Paper Mill purchased Filham Moor Wood and the adjacent land. This was established in August 1940 and continued until the following Spring. The Department for Aircraft Production developed the idea that different towns could have an aircraft named after them if they raised the sum of £5000. This did not cover the full cost of a Spitfire, but was felt to represent a sum which communities could realistically raise. By the 1950s there was a desperate need for a new recreation field for the mill’s sports teams. Whilst it was pointed out that the field at Filham was overgrown, it was commented that “with a little attention from the club members in cutting and rolling the field, it would be satisfactory”. In 1951 a request was made to the Board of Wiggins Teape, explaining that the Football Club, made up of two teams, were still without a fixed ground and each year experiencing great difficulty in negotiating the use of a field from a local farmer. It was also stated that the cricket club had quite a ‘flourishing side and a number of enthusiasts” and that there was no field available in Ivybridge which could really be successfully turned into a cricket ground, forcing the club to play all matches away from home. Finally, in 1951, Hamish MacNee, Mill Manager, received a communication from Wiggins Teape Head Office at Aldgate House, stating that the application for a sports field was approved and a specialist contractor was approached to commence work, which they confirmed would take until the spring of 1953 to complete. 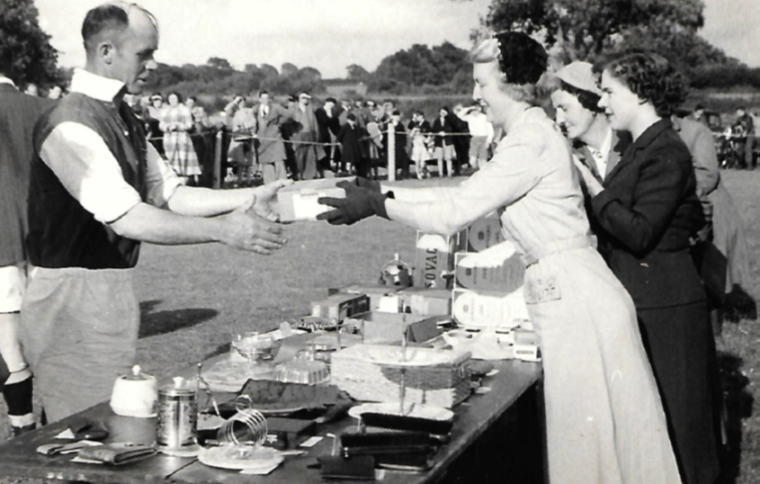 Hamish MacNee approached Commander Pirie, the Production Director of Wiggins Teape to officially open the new Sports Ground on the occasion of the first home cricket match with Hele, on 23rd May 1953. Portals Tug of War team in action. It is a close finish in the Mens 100 yds. Sports Day 1954. In 1955 the old ‘Saw Shed’ from the paper mill was transferred down to the field and later in 1957 the Sports Pavilion was erected, a structure measuring 35’ x 15’x 7’6”. In 1955 it is documented that the field was used by Congregational Church Badminton Club, whilst by 1958 Ivybridge Secondary Modern School was using the field on two afternoons a week for various sports activities. Later in the 1960s the Primary School at Station Road also used the field to host its annual Sports Day. 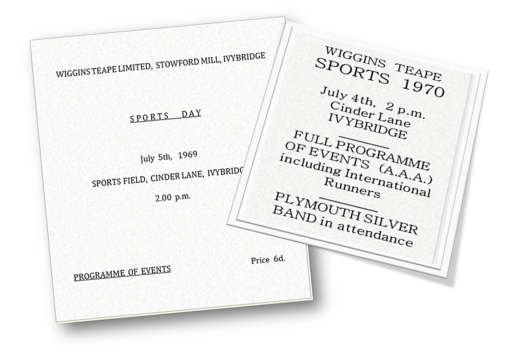 Annual Sports Days hosted by the Paper Mill at the Sports Field at Cinder Lane flourished during the 1950s and extended into the 1970s. These events attracted entries from Exeter, Torquay, Paignton and Plymouth based athletic clubs as well as providing a fun day out for the families of Ivybridge. With the developments taking place in Ivybridge during the 1980s, the field was sold and is now part of The Paddocks housing estate.